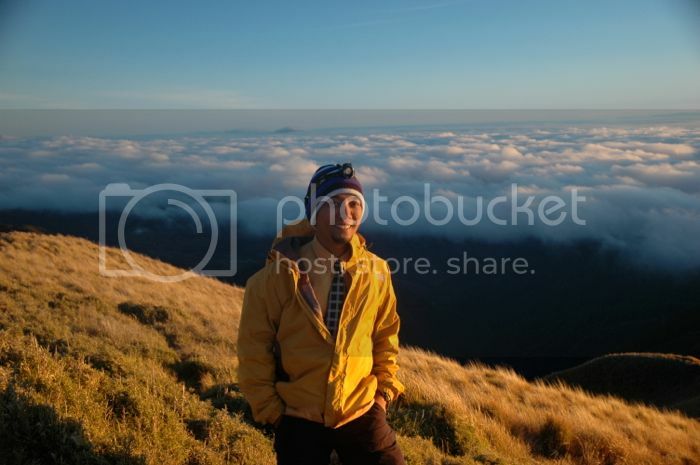 Pepe Diokno’s “Above the Clouds” has it all wrong. In a pivotal scene where Andres (Ruru Madrid) scrambles to find a small boulder where his late parents had a photo during one of many outdoor jaunts the two had with their future son’s grandfather (Pepe Smith) many years ago, he is suddenly overcome by powerful emotions of grief and nostalgia. The boulder is one of many jagged outcroppings in a field dirtied by ignorance and apathy. The boulders themselves aren’t spared: each one is covered by names of people who’ve been there, a trait apparently carried on from habits developed by pre-historic hunter-gatherers. The particular boulder that tugged at Andy’s heartstrings is itself emblazoned with the memory of his parents’ young love. Later on, with the help of his grandfather, they push the boulder erect to reveal not just the name of Andy’s father, but that this piece of rock was meant to bear witness to everlasting feelings. The scene is wrong on so many levels, as it seems to glorify vandalism as a means of reminding the future that things took place in the past. The sweeping camera work on this field enveloped in fog reveals what is wrong with nature tourism in the country: that those who seek savage beauty and pristine surroundings have neither the common sense nor the foresight to want to keep things beautiful and pristine. People will be watching this movie and think: I must leave my mark somewhere, so that future generations, perhaps my children, or my children’s children, can return to that place and say: I was there. To be fair, the movie is not a treatise on adventure tourism or the local outdoor industry. It dissects the relationship between two people who are related by blood, but who are strangers to each other. Whether we see this relationship transcend years of being apart is the important question. 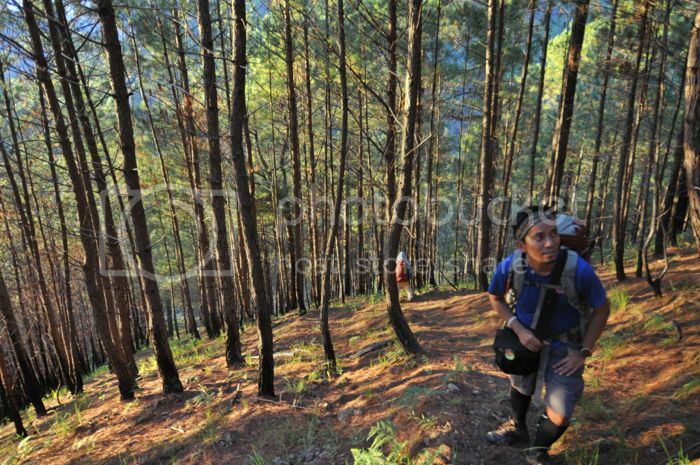 So it ignores what hikers, adventurers, and, alright, “mountaineers” who piled the Cultural Center of the Philippines for the annual (truncated) Cinemalaya expected. We were hoping to see our outdoor passions translated and painted in the broad strokes of the cinematic artform. But we witnessed none of that. 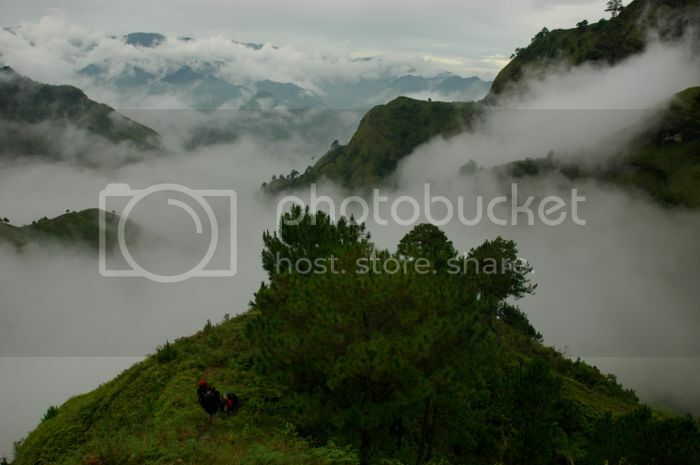 There were many places familiar to us: the Lumiang Cave in Sagada, pine forests in Benguet, the Wawa Dam in Rizal, and the sea of clouds of the Mount Pulag grasslands. Andy and his grandfather go on this hike in an effort to rekindle memories or perhaps create a relationship. The movie wasn’t meant to be a clarion call for people to take up hiking as a hobby. 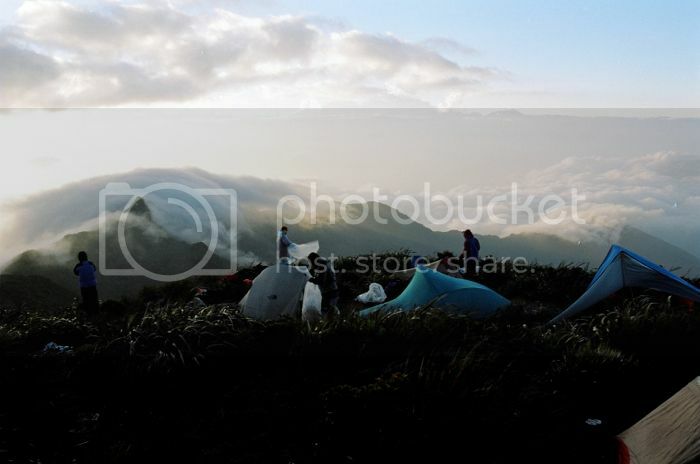 It was not meant to symbolize the local mountaineering community’s collective feelings about why they go outside. Quite frankly, despite generous sweeps of beautiful views and enchanting forests, the movie does little to encourage it. In fact, the mountaineering community may be offended by it: the grandfather litters the same trails he’s taken “a thousand times”, and seems to symbolize all that we don’t want to see when we are outdoors. The boulder is important to Andy as he retraces the trails taken by his father, and later, by his parents. The vandalism is glamorized as he turns the boulder into a shrine, picks up all the trash around it, and arranges it in such a way that others who may come upon it would remember that they were there. Vandalism has long been abandoned as an acceptable act of recording history. Andy should have been happy with the photo. His parents should have been content having Pepe Smith’s character remember the scene through that photograph. The movie romanticizes vandalism, which is unacceptable behavior particularly where the outdoors are concerned. Just last weekend, I went to the Mariveles Mountains. The last time I was there was in 2011, and I was surprised to find that Nanay Cording’s “Wall of Shame” has expanded in size. 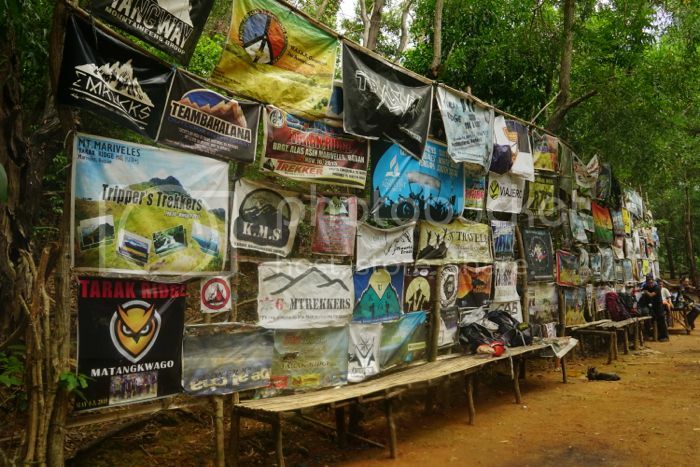 The wall is a collection of tarpaulin banners left behind by outdoor groups with odd names that sometimes belie their true intentions. It is an ugly sight, and it makes me sad, because it has now become a conspicuous landmark of the Tarak Ridge hike, appearing on social media almost as often as the Papaya River. But a quick survey of the banners left there to rot results in this conclusion: none of the more respectable outdoor clubs I know has left any trace of their visit to Mariveles: not AMCI, not the UP Mountaineers, not the Loyola Mountaineers, not Sierra. Because we know that we need not leave behind our names on rocks, on trees, on walls of dishonor, to inform others that we have been there. Our photographs, our footprints, our memories are sufficient. And yes, I just paraphrased that cliché. The producer of Tadhana and ATC is the same... Now we know where the problem lies. I'd rather not speculate, but I suppose they saw an effective formula in the first which they tried to replicate in the second. I really should try to see Tadhana. ATC was produced first but Tadhana gained so much hype so it went places around the country and was given more attention than ATC.